Midway through Black Panther, I realised that I was utterly and completely immersed in director Ryan Coogler's film. I had forgotten where I was so swept up was I in the drama of Prince T'Challa’s ascension to the Wakandan throne. 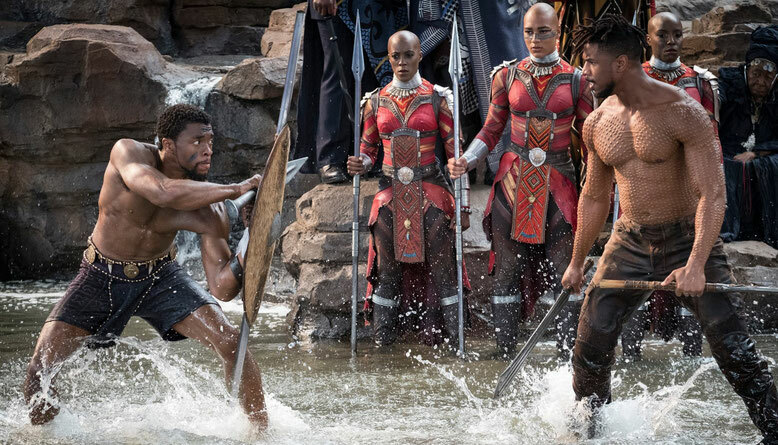 Black Panther - the 18th movie in the Marvel Cinematic Universe (MCU) - is every bit as exciting and entertaining as its message (and its very existence) is important in society today. This is a film that that means so much to so many and, despite the heavy burden of expectation, more than delivers. Of course, if you boil Black Panther down to its most basic narrative parts, Coogler’s story (written with Joe Robert Cole) is a familiar one. There is a battle between good and evil where the stakes are unimaginably high and yet the outcome is never really in question. However, no one could criticise Black Panther for lacking imagination. For, despite the scene stealing presence of Andy Serkis’s crazy bad guy Ulysses Klaue, Black Panther’s central conflict (involving the theft of Wakandan vibranium) is actually the least interesting part of the film. Far more compelling is the Wakandan world building on display. There is such incredible power in the details and every detail is stunning from Ruth E. Carter’s wonderful costumes, to Rachel Morrison’s beautiful cinematography, from Hannah Beachler’s awe-inspiring production design to Ludwig Göransson’s brilliant score. Bringing the world of Wakanda to life (as this is where the majority of the action takes place) is Black Panther’s endlessly impressive cast. Chadwick Boseman is superb as T'Challa. He brings gravitas to this role as well as conveying T’Challa’s very human struggle with his new role as King. If T’Challa is the good in Coogler’s film, Michael B. Jordan’s Erik Killmonger is (as his name suggests) the evil. Thankfully, however, this is a baddie with substance. We understand his motivation and his desire for change. Thanks to Jordan’s incredible on screen charisma, Killmonger is an extremely compelling and satisfying villain. One of the most impressive aspects of Black Panther is the way in which women are represented. Yes the leaders are all men, but the women are actually far more interesting. They are smart and strong, intuitive, powerful and brave. Lupita Nyong'o gives a brilliant performance as Nakia and Danai Gurira is wonderful as Okoye. Meanwhile, T’Challa’s sister, Shuri, steals every scene. Superbly portrayed by Letitia Wright, Shuri is fun and feisty, intelligent and innovative. In the wake of Wonder Woman, Okoye, Nakia and Shuri are three more fantastic female role models. For beneath its action-heavy surface, Coogler uses Black Panther to explore many thought-provoking issues. 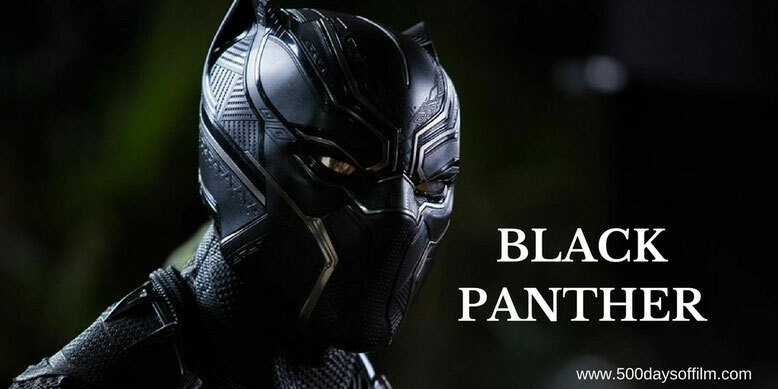 In addition to gender equality, the film touches on themes of racism, protectionism and the potential for change - ensuring that Black Panther is far more than just another entry into the MCU. If you have, what did you think of this Marvel movie? Let me know in the comments section below or via Facebook or Twitter (@500DaysOfFilm).